Sovos has been named a ‘2018 Provider to Watch’ by Spend Matters, the leading solution intelligent source for procurement and supply chain professionals. This recognition also extends to TrustWeaver, also named on this years’ list and now part of the Sovos family. 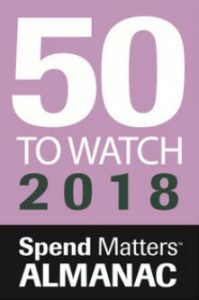 According to the This Week on Spend Matters email newsletter, “the annual 50 Providers to Watch/Know lists recognize those that lead the charge for new procurement technologies and services, driving innovation and changing the way we do business. Whether you’re making a tech selection or simply want to better understand the procurement playing field, these 100 vendors should be on your radar in 2018 and beyond.”Spend Matters released its 5th annual ‘50 Providers to Know/50 Providers to Watch’ lists yesterday at ISM2018, the Institute for Supply Management’s (ISM) Annual Conference. The recognition highlights Sovos’ Intelligent Compliance Cloud for tax compliance and business-to-government reporting solutions, which help reduce the costly friction between businesses and governments around the world. 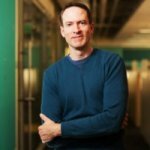 With its recent announcements, including Use Tax Manager, a cloud-based solution that automates use tax determination reconciliation on purchases to accurately self-assess and accrue tax for proper filing, and acquisition of Stockholm-based TrustWeaver, a comprehensive cloud-based compliance service for electronic invoicing and other legally critical documents for more than 55 countries, Sovos continues to address the need for improved tax coverage in the procure-to-pay process. Spend Matters routinely reviews the latest procurement technology and service offerings to help organizations make vendor selection decisions. The 50 Providers to Watch/Know lists are the result of deep analysis and corroboration among all Spend Matters analysts and reflect the publication’s unbiased, independent view of the organizations to know and watch. To view the 2018 lists: 50 Providers to Know and 50 Providers to Watch. Learn how Sovos Use Tax Manager can safeguard your business against the burden and risks of procure-to-pay sales and use tax compliance, give your tax team the visibility and control needed over tax data on every purchase – without slowing down your Accounts Payable process.